You Are Here: YULONG SAFETY > Question & Answer > Do You Know the FR Finishing of After-Treatment FR Fabric? 2) liquid method: add the flame retardant to the spinning solution directly. 3) copolymerization method: add the flame retardant to the polymer chain segments, which can makes the fabric washable, resistance to bleaching , perspiration resistance, not absorbed by skin. 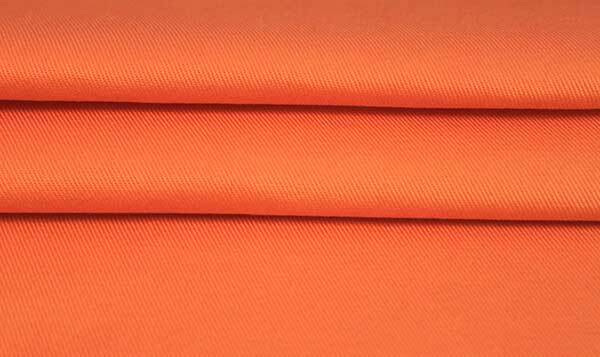 The after-treatment FR fabric produced by Xinxiang Yulong Textile Co. Ltd mainly use organic phosphorus flame retardant to do the fire retardant treatment. 1) white color, can be solubled in the crystalline compounds of water and lower alcohol. 2, The composition of Pyrovatex CP liquid: fire retardant, buffer agent, stabilizer, catalyst, softening agent, fixer and so on. 3, Cotton/poly blended fr fabric’s FR finishing technology: Polyester component with three (2, 3 two bromine propyl) phosphonic acid ester (TDBPP), cotton component with THPC, these two finishing agent can be finished with bath pad , the requirement is that two finishing agent is consistency, can fixed under the same conditions.